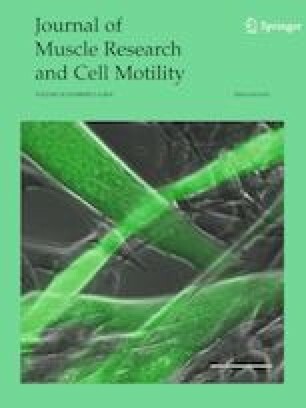 The communication between primary afferent neuron and skeletal muscle (SKM) is one of the important factors on maintaining the structure and function of SKM cells. Neuregulin-1β (NRG-1β) signaling is essential for regulating synaptic neurotransmission. Here, we established a neuromuscular coculture model of dorsal root ganglion (DRG) sensory neurons and SKM cells to explore the nerve-muscle communication in the presence of exogenous NRG-1β. The expression of three distinct subtypes (TrkA, TrkB, and TrkC) of tyrosine kinase receptors was monitored for the phenotypical alterations of the neurons. The aggregation extent of acetylcholine receptor (AChR) represents the specific changes of SKM cells after NRG-1β incubation in this neuromuscular coculture model. The results showed that NRG-1β not only enhanced neurite outgrowth of DRG neurons but also increased the length and branches of SKM cells. NRG-1β treatment not only induced expression of all the three subtypes of Trk receptors in neurons but also promoted AChR aggregation on the surface of SKM cells. The effects of NRG-1β could be blocked by administration of ERK1/2 inhibitor PD98059, PI3K inhibitor LY294002, and JAK2 inhibitor AG490, respectively. These data imply that NRG-1β is essential for the nerve-muscle communication by enhancing growth and modifying phenotypes of the two different kinds of cells. The specific effects produced by NRG-1β add novel interpretation for nerve-muscle communication between sensory neurons and SKM cells. This work was supported by National Natural Science Foundation of China (No. 81371917).